Posted on August 7, 2018 . 12 Comments. Stop and think about that for a second. It is so simple that people will inevitably complicate it. They’ll come up with a thousand different exercises to try and accomplish a thousand different things. For the sake of complexity, they will claim that you have to do this if you want to get better at that; and you need to have these four corrective exercises so you can progress at this other one. Yet many such plans become unnecessarily complicated. It takes a very experienced coach to know when certain additions are needed and when to just let things happen through simplicity. Don’t just stand there and point a finger at other people. We have all been there at some point in our careers. We were guilty of holding a person back because we felt things weren’t quite perfect, or that we needed to fix or add just one more thing. Yet sometimes the most basic plans are also the most effective. I have written about Simple and Sinister before. You can find that article here. I remember the first time I picked up a copy of Pavel’s book. I read through it, implemented none of it, put it down for a few months, and then read through it again. This is standard behavior for me with his work. I know there will be hidden things I don’t see during my initial read-through and I have to forget about it for a while and then come back later with a fresh perspective. My first thought after finishing the book was, “It’s only about two exercises, that’s strange.” The next time I read Simple and Sinister was after the incident I referred to in the article above. At that moment with my compromised capacity, there were only a very small number of things I could do. With my choices limited by injury, I came to appreciate the idea of only focusing on a couple of movements, but honing in on them with such laser focus that it could cut a diamond. I want to define the term “elegant” for you. The first definition comes from the worlds of art and fashion. It means something is pleasingly graceful and stylish in appearance. When solving a scientific or mathematical problem, elegant means finding a solution that’s pleasingly ingenious and simple. I am not sure if this is true, but I like to believe Pavel had both of these definitions in mind when he wrote Simple and Sinister. If this elegantly elemental program is being performed by someone who has been well coached and is moving with intention, the first definition will very much apply. As far as the actual program, the second definition is absolutely appropriate. I have no idea if this was deliberate or not, but if you look at how I described the way to keep your joints healthy and thoroughly read Simple and Sinister, you will notice something striking. With just two exercises, you manage to almost put all your joints through all their ranges of motion, every day, under load. When you add in the recommended warmup, you fill in the squatting gap and the short lever positions of the shoulder. The only thing really missing is full extension of the shoulder, which can easily be added into your training with some weighted dips and maybe the “skin the cat” (I promise, no actual cats are hurt when performing this exercise.) You roll, rotate the spine, hinge on one hip, fully flex the knees, extend all the toes, flex, extend and rotate the hips, and lunge. You perform a horizontal press and manage a big load overhead through every plane. And that’s just the Turkish Get-up. As for one-arm swings, you get powerful hinging, long lever internal and external shoulder rotation, and powerful anti-rotation of the spine. You also get a tremendous amount of trunk stability work with both single and double arm swings and learn to breathe efficiently and effectively while maintaining this stability. Thank you, hardstyle kettlebell swings. 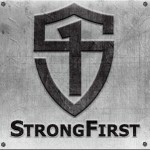 People often look at something so elegant and almost immediately ask the question, “Well, how do I add this to my program?” I’m sure the StrongFirst forum is strewn with such inquiries. What people often fail to realize is that with the Simple and Sinister approach, everything unnecessary has been stripped away. Depending on your goals in life, there may not be a whole lot more you really need to add. This can be a big issue as a coach. People are not always interested in actual training anymore. Rather, they’re fixated on exercising, which is totally different. This leads many coaches and athletes to chase complexity they don’t truly need. Are you planning on playing a contact sport? You’re probably going to have to add some things to increase mass and drive maximum strength and power. 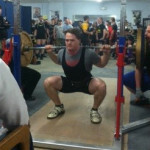 Are you participating in powerlifting, weightlifting, strongman, CrossFit, etc.? Then of course there are other skills you are going to need to acquire. Many of those training systems don’t put your joints through all their positions. Other plans are only heavy in just one plane of motion. What I will tell you is all of these endeavors will do nothing but improve in spades if you add even a condensed version of Simple and Sinister to your training schedule. Move each joint through a full range of motion every day under load. Those are words to live by. And if I may say so, elegant ones at that. Dr. Travis Jewett is a Chiropractor, MobilityWOD Team Member, and CrossFit Level I Trainer. He travels and teaches the CrossFit Mobility Certification as part of the seminar staff. He has been involved in weight training, powerlifting, teaching, and coaching for 22 years. He works with a wide range of people at his clinic in northwest Iowa. Would the KB arm bar fulfill the shoulder extension piece? Great article! Travis Jewett, quick question. I’ve been doing S&S daily for 90 days and already reached the simple goal and will be using the 40kg for my TGUs. Recently I read that Pavel Tsatsouline recommended to a MMA fighter’s coach, that his student should alternate between the push-press (10 sets of 10 reps, alternating arms between sets… with a focus on power and not weight) and the Turkish get-up once his TGUs got real heavy (+36kg). So in other words, one day he would do SW+TGU, then on the following day he would do SW+PP and so on. I’m not a MMA fighter but I really respect their training. So I figured I should try it and enjoyed how my shoulders felt after a session of push-presses. In your opinion, do you feel that my joints are better served sticking to the original S&S plan or is it fine to alternate between the TGU and push-press? At this point with such a heavy TGU under control, I don’t see any issues adding in the push press for your training. My favorite addition is the farmers walk. Loaded carries are awesome. I’ve been doing S&S for 2.5 years and I agree 100% with this article. Great article Travis. The best plans (for anything) are simple. Doesn’t meant they are easy. To move them every day with load does not mean with only two exercises! No doc would approve that. @Sergej, please do not speak for the medical profession unless you are one of them. In my opinion, you could show Simple and Sinister to 1000 doctors or 1000 trainers or 1000 physical therapists, and in each profession you’d find 1000 voices agreeing that it’s an excellent program, far better than doing nothing, as complete as any program of its short, easy-to-perform-every-day length could possible be, and very well suited to the general population as well as many athletic populations. Why do many things when a few will suffice? You can always layer more things on if you want. Depends on the goals of the person. I never said you can’t or shouldn’t do anything else. These two things put your body through most of the positions you can put it in under load. If you want to also add more things on top of that, be my guest. Travis, you mentioned this in the podcast and I thought it was a great point. Nice to see you expand on that thought! Very helpful article. Appreciate it! Thanks for listening to the podcast and reading the article!